One of our favorite things to do in the Fall is attending festivals! We attend an Apple Festival, Corn Festival, and our of our favorites is the Renaissance Festival.This year, my daughter was able to wear a beautiful Renaissance clothing from Costume Discounters that she received to review. The dress is stunning and fits really well. It was nicely stitched and had many details. It came with a "coat" for the short sleeved dress as well as a headpiece. The shoulders of the dress are very detailed and made the dress look very high quality! 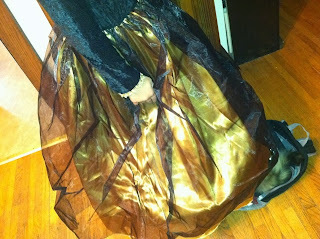 We loved the fullness of the skirt as well. It puffed out really well without having to add a petticoat underneath (the festival can get VERY hot-- the less layers the better)! 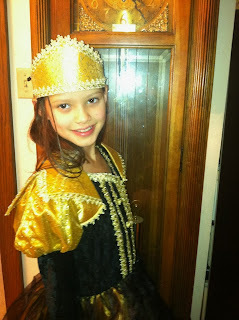 The best part is, the Renaissance costume doubles as her Halloween costume! 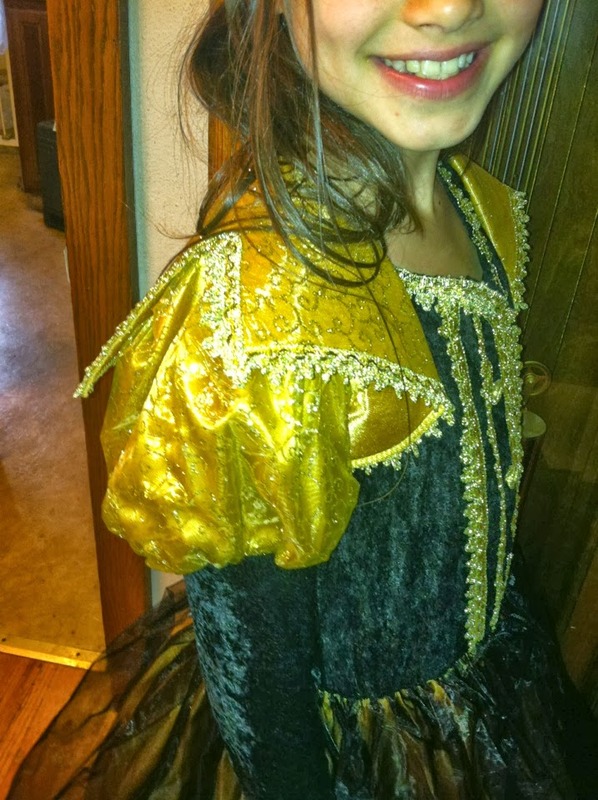 MamaBreak received a costume to review here on MamaBreak. We did not receive any other type of compensation. As always, our experience and opinions are our own.